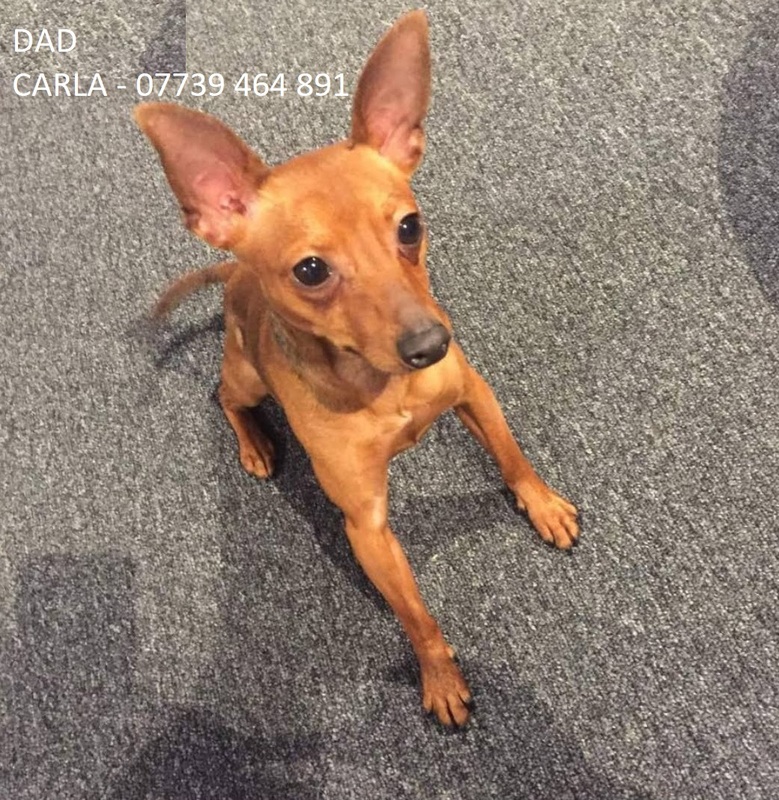 3 Beautiful Miniature Pinscher Puppies For Sale! We have three black and tan puppies for sale, two girls and one boy. They will be ready for forever homes on Friday 21st December 2018. These beautiful babies will make lovely show dogs or fantastic family pets. These cheeky little characters are raised in the home, used to household noise and are handled frequently, they have seen other dogs and children. 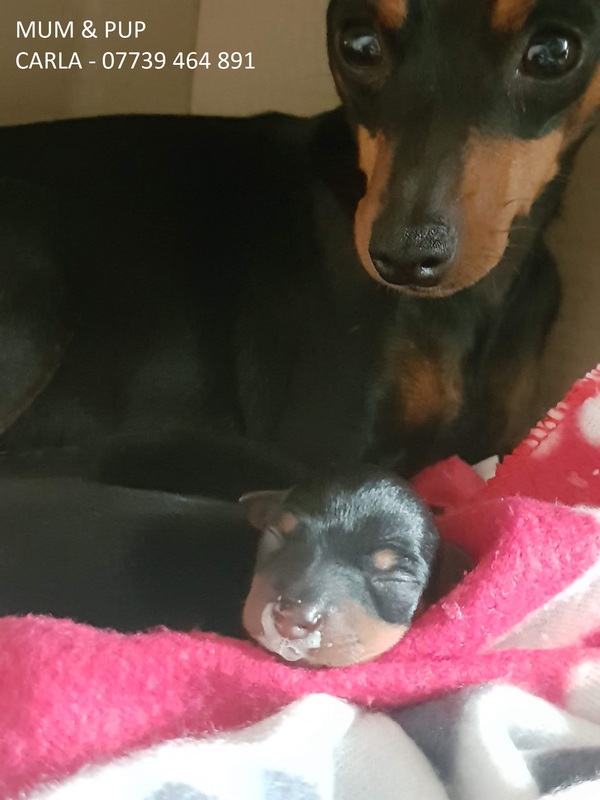 Both the mum and dad are here to see and are both fabulous examples of the breed, both are KC reg pedigree min-pins and also, pet models (see photos)! They will be vet checked with their first vaccination before they leave, are wormed and fleed (through mother, while pregnant). We will also begin litter training from about three-four weeks of age. They will come with five weeks free insurance, a crate, microchip details, contract and puppy pack which includes "smell-of-mother" blanket, wee mats, toys and sample food to get you started. Please, only 5* forever homes - £1,200. I will need a deposit to secure the sale. Adopting, or buying a new puppy or dog is an important decision and big responsibility. As an owner, you will solely responsible for the welfare of your new pet and will also be financially committed. Before you decide to buy or adopt you must ensure that you’re 100% committed beforehand. For further information on caring for puppies and dogs, please visit our pet advice section. 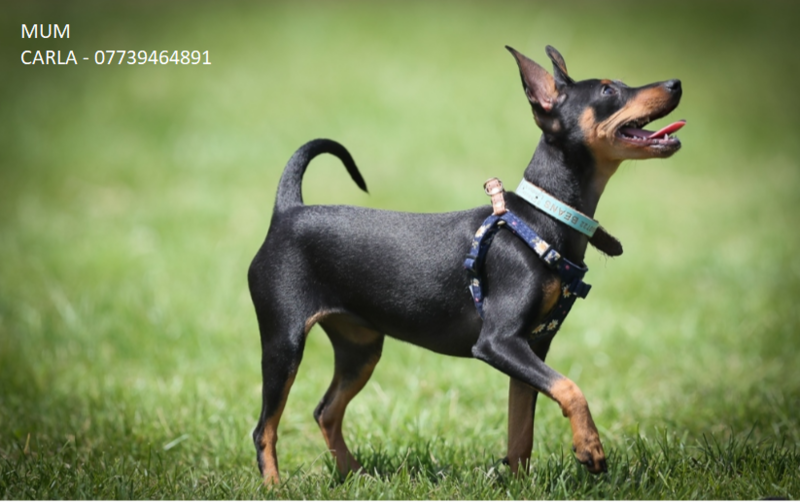 You can also find out more information about the Miniature Pinscher breed by visiting the Miniature Pinscher Dog Breed Information.